Voila! a simple yet colorful outfit. lovely look, adore the jacket. love your jacket and this hair style! LOVE these pants and jacket..love the asymmetrical zipper..gorgeous colors! 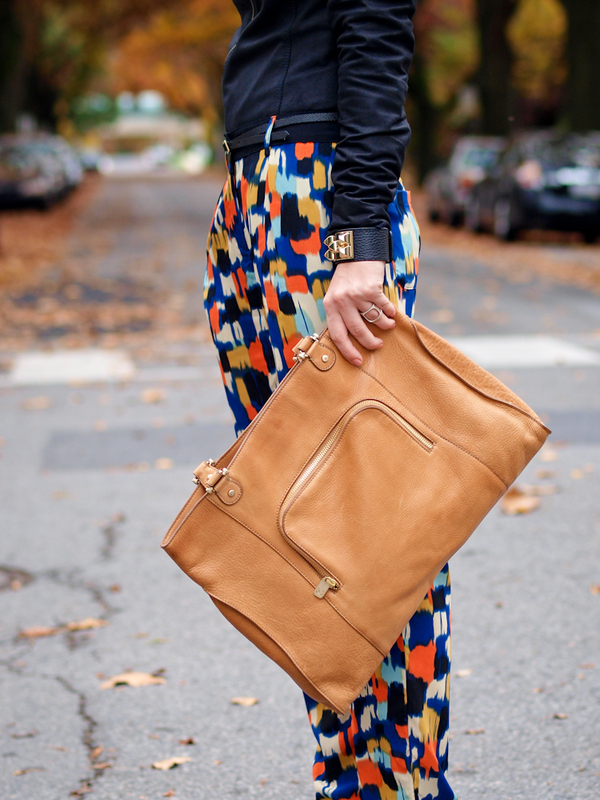 Love the asymmetrical jacket with these bold pants…great combination! beautifull <3 i love your blog !! These pants are amazing! Love your bag too! When I saw the title of the post I was expecting to not like your trousers… boy was I wrong! Oh… and those shoes rock! I’m in love with those pants!! this pants is GORG GORG GORG you are always so stylish ! The pants are so HOT!!! I love them as well as the clutch!! This post is great!!! Great pants! The print is beautiful and unusual and I love that you pair them with this jacket of interesting design. Love love love your pictures !!! You look amazing ! WOW…colors and shapes this look is perfect in every way! Like the road photos and the colors of the trees!!! !In Greece we don’t have Autumn like this, and I really miss it! TOP post today….like everyone you do my sweet!!!! I like this appearance very much. The pants and the jacket are great pieces. 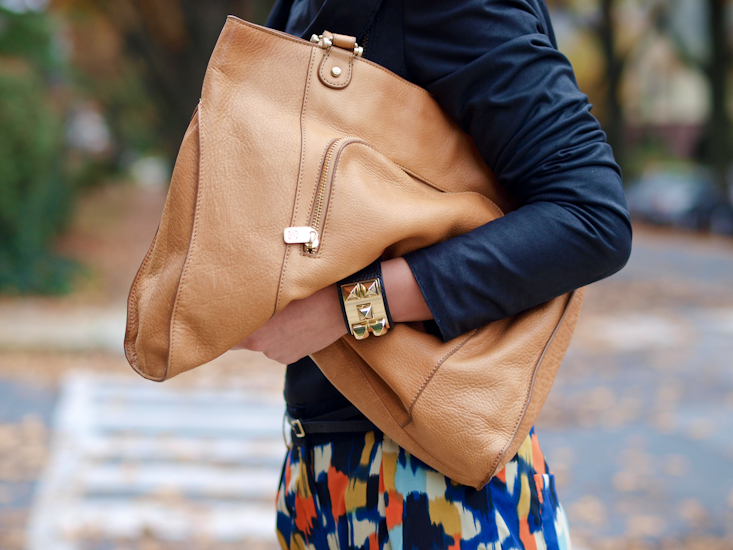 Great jacket and bag! And unusual pants! Those trousers are absolutely stunning! Great outfits! Because of your blog, I found a gorgeous dress from sugarlips! Thank you. The pants are crazily awesome. Only you Veronica could pull off all that colours together so chic and naturally elegant! truly remarkable look. Superb silhouette. The pants are totally creating an artful effect and you are beautiful beynd words. this is perfection! i always love an asymmetrical closure. and the pants jus look amazing… i love the slits.